Andrew Bell and Eric Markham. 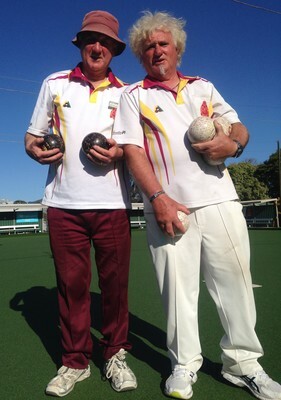 Monbulk bowlers Andrew Bell and Eric Markham won the Eastern Region pairs championship. This event was played over three days at the Croydon Bowls Club. 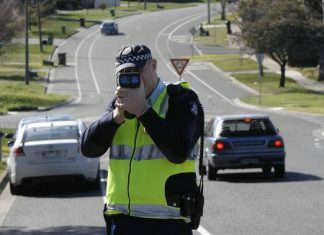 Bell and Markham worked their way through the rounds defeating teams from Heathmont, Vermont South, Ferntree Gully and Mulgrave Country Club. The Monbulk pair won the semi-final against Mulgrave Country Club convincingly. In the final, they played a composite team from Mulgrave Country Club and Berwick and this proved a much tougher game. Bell and Markham dropped two shots on the first end, and by the seventh end they were seven shots down. They were still down seven shots (8 to 15) on the 10th end with only five ends left to play. Then in the next four ends they collected a one, a three, a two and a one to be 15 shots-all going into the final end. Markham went long with his first two bowls and then landed one on the jack. The opposition came through with weight and smacked the jack out to the side, just hanging onto the boundary. Markham’s long bowl was now shot. Bell came in with his last bowl and sat it right next to the jack, but not a toucher. The opposition had the final bowl. He tried to kill the end, but just managed to take out Bell’s shot bowl and they both ended up in the ditch. Markham’s long bowl was again shot and this meant the Monbulk pair had claimed the regional championship.